Helicopter, lawnmower, free-range — labels for parenting styles abound online and in the media. But they’re often negative and unhelpful to parents, says Parenting Research Centre CEO and child psychologist Warren Cann. 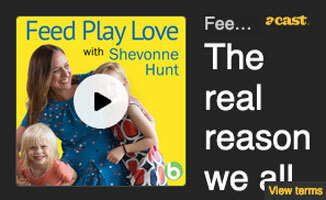 Speaking on the Feed Play Love podcast produced by Babyology, Mr Cann says while there might be a kernel of truth in some of them in some families, applying negative parenting labels like this to a whole generation of parents does not have a scientific basis. They are nearly always based on anecdotal observations and its’ unclear how they help parents and parenting. Mr Cann says focusing on what works and what is effective for their child and family can help parents adapt their parenting style according to their child’s needs. “Temperament matters and this is not just about what you are doing as a parent. Parenting is not a level playing field. Your child is going to bring to the table a set of characteristics that are going to impact on the way you parent. “So, first of all accept this is not just about you and beyond that, it is good to lean to value and accept your child’s temperament. It is what makes them different and special. So, learning to appreciate that style can be helpful so we then won’t inadvertently or deliberately put pressure on a child to be someone they’re not. “Secondly, if you’re aware of your child’s temperament you can predict where their strengths and challenges lie. And you can anticipate situations where they might experience challenges.